KidsParties.party strives hard to have everything for your child’s big day. And yes, that includes kids bedding. Getting a child into some cozy comforters and themed bedding will make them very happy! Shop our kid’s bedding department and pick out that special birthday party gift today. Our kid’s bedding section includes sheets, duvet covers, blankets, and comforters. 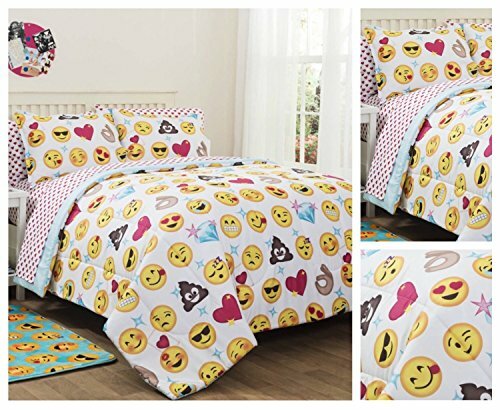 This 7 Piece Emoji Reversible Comforter Set built for a queen size bed will show your kids how cool you truly are; your kids use emoji as a second language! $94.99 Buy this Emoji Set! 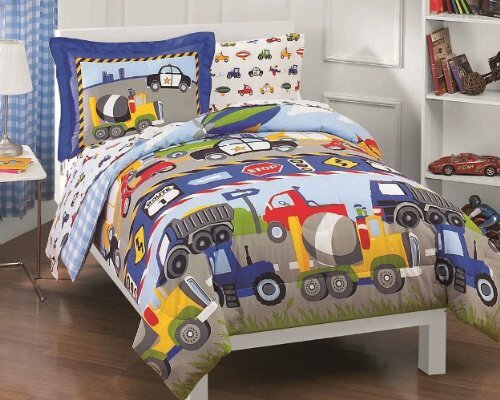 Use this bedding set of a comforter, fitted sheet, flat sheet, and pillow shams to finish a car and truck themed bedroom! Perfect decor.